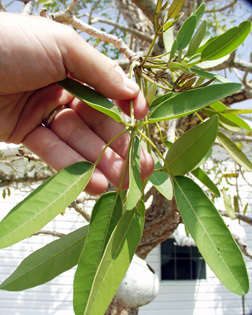 Leaf:Opposite or subopposite, palmately compound with 5 or 7 leaflets; each leaflet 4 to 7 inches long, narrowly elliptical, borne on long petiolules, yellow-green to blue-green and covered with silvery-shiny scales. 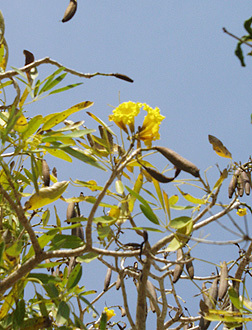 Flower:Species is monoecious; very showy, bright yellow, bell-shaped, 3 inches long; appear in very showy pom-pom like terminal clusters to 8 inches long; flowering starts with leaf fall in the dry season. 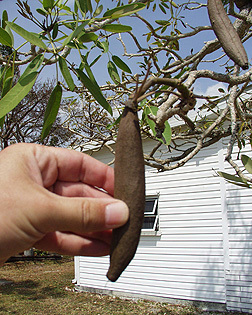 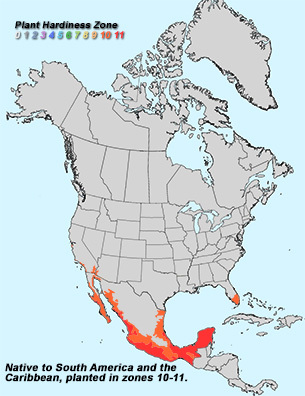 Fruit:Flattened bean-like hanging capsules to 6 inches long, very stiff; each capsule contains numerous flattened seeds with 2-papery wings. 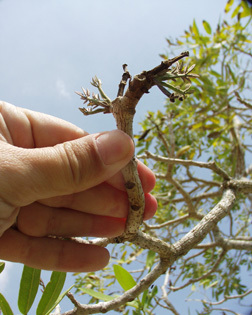 Twig:Stout, gray-brown with brown buds. 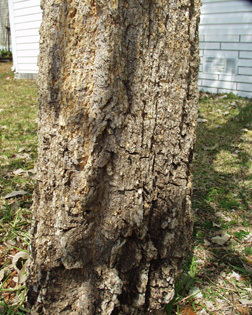 Bark:Gray-brown, irregularly ridged and becoming corky. 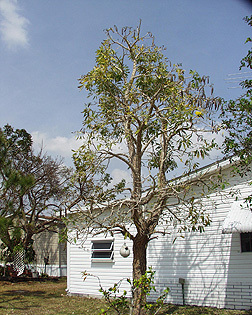 Form:A small tree with an irregular crown to 30 feet tall.